I own a 1967 Toyota Land Cruiser. The model is FJ40. Everyone thinks that it is a jeep. The story of the Land Cruiser goes back to world war II. The federal government needed a utility vehicle for the war effort. They requested bid proposals from various companies. General Motors and Willy’s both submitted proposals. They ending up choosing the Willy’s proposal and the General Motors proposal set on the shelf. After WWII was over and the US occupied Japan. One of the purposes of the occupation was to help in the reconstruction of Japan. In this process, the US took the general motor’s plan for a utility vehicle and it was built in Japan for the pacific rim market. Some time in the very late 50’s or early 60’s the FJ40 was imported into the US. So I own a vehicle designed in the US, built in Japan and imported to sell here. I’m probably telling you more that you want to know about the FJ40. When I was a teenager, this was the car I wanted. Not a Jeep, not a 57 Chevy, or a Mustang, this was it. So now I have one and have owned this one for 15 years. I changed the motor to a Chevy 350. It has four wheel disc brakes and power steering. I use it as a tow vehicle behind my RV. I have to admit that I have neglected the vehicle. It needs some TLC. 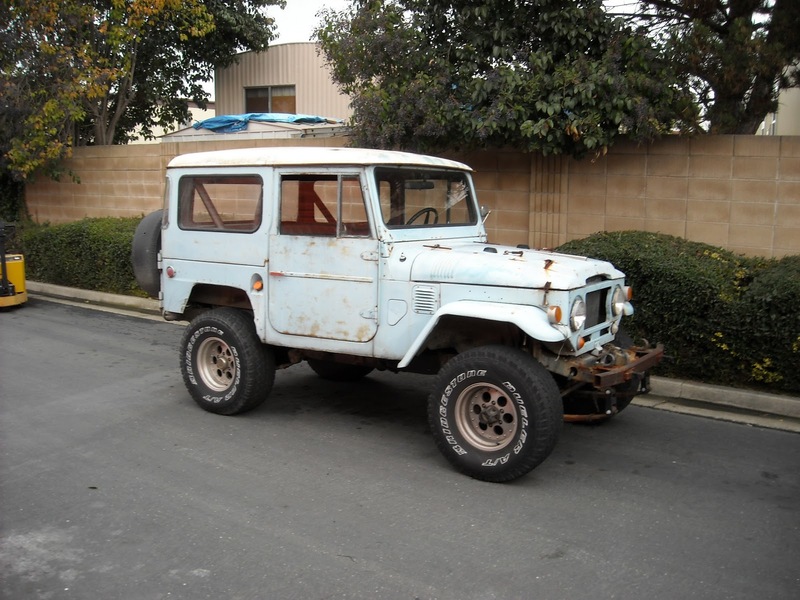 So the purpose of this page is to mark the beginning of my effort to fix up the FJ40. I will develop a list of fixes that need to be done and modifications that I want to do. Hopefully I will write regularly about the progress. The first task is to get it running. I have been stuck in Las Vegas for a while and this place is tough on cars. The carburetor is junked up. So getting it up and running again is task #1.